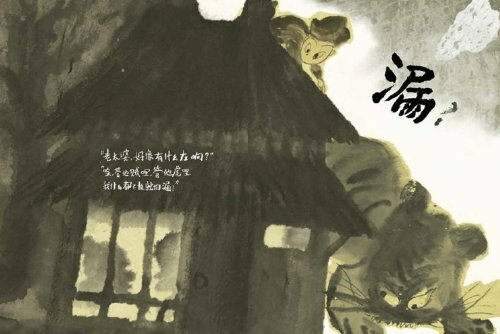 The other day, I was at the library with my kids and while browsing the Chinese picture books section, I overheard a parent telling her child that the books she was looking at were too kiddish for her and she should choose books from this other section because she was already X years old. Coincidentally, I was just reading this book written by someone who was passionate about reading and inculcating the love of reading in children. In that book, the author also mentions that one of the common mistakes parents and teachers make is to insist the children read ‘according to age’. A related mistake is not understanding what makes appropriate book. Many things that the author wrote resonate with me. The incident at the library trigger the urge to write something about choosing Chinese books for our kids. 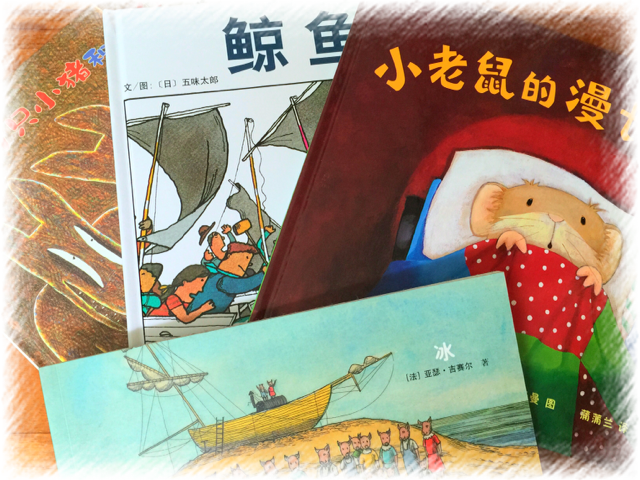 In many ways, choosing Chinese books for our kids is the same as choosing English books. The same principles apply : good content, good language, interesting storyline, etc. The same mistakes apply to the choosing of both English and Chinese books. Regardless of English or Chinese books, I think we should not force our kids to ‘read according to age’. What is more relevant and important is to read ‘according to ability’. However, choosing Chinese books is a little bit trickier than choosing English books because most of our kids struggle with the language and picking up something within the reading ability of our kids can be a bit tricky. A book with a story that seems more suited to a preschooler may be totally beyond the reading ability of our kids. Most people think that picture books are ‘baby books’. Nothing can be further from the truth. 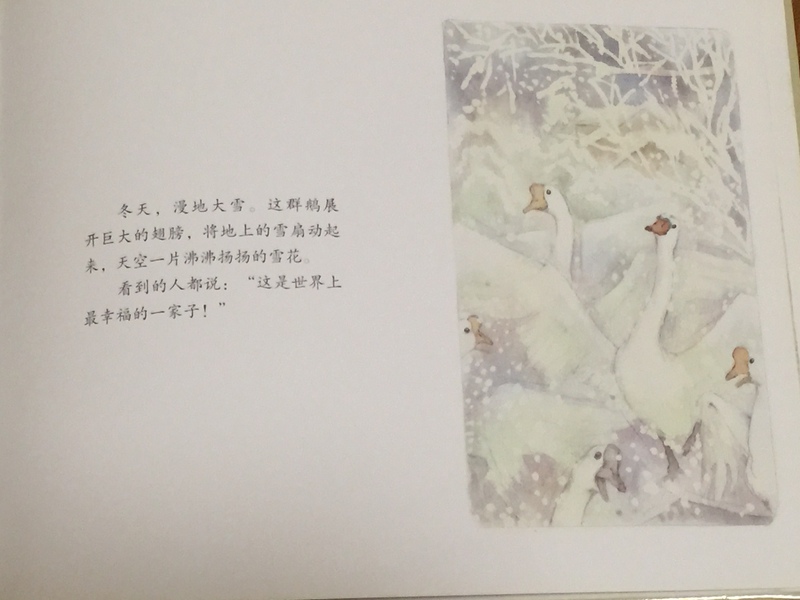 I enjoy reading many of the children’s picture books, whether they are in English or Chinese. I am sure if you take the time to read them, you will find that you enjoy them too. Just because they have big huge pictures and few words does not mean that they are simple or worth less. 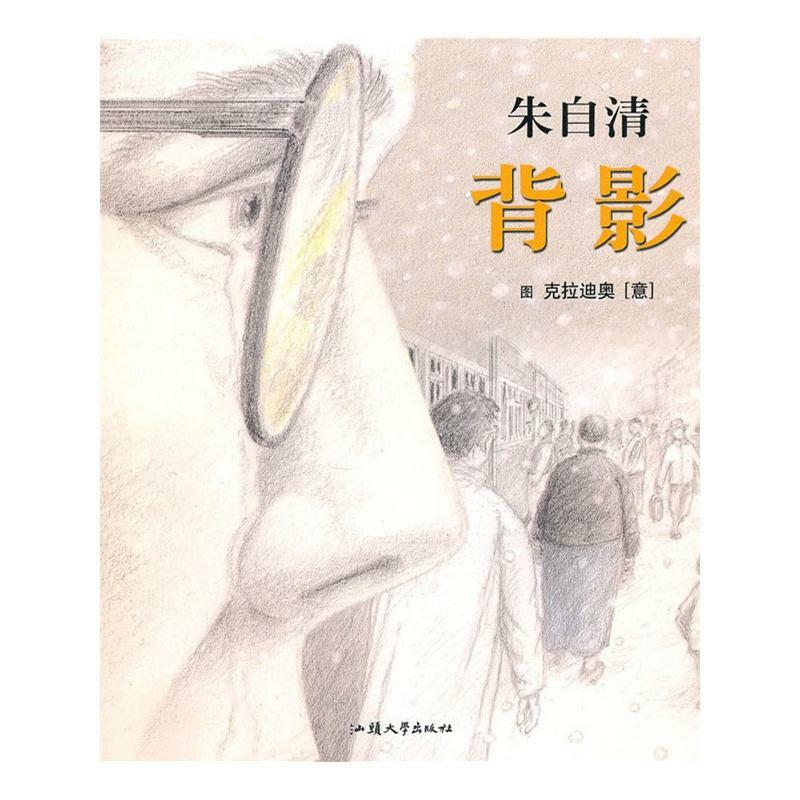 This is a famous short story written by 朱自清. 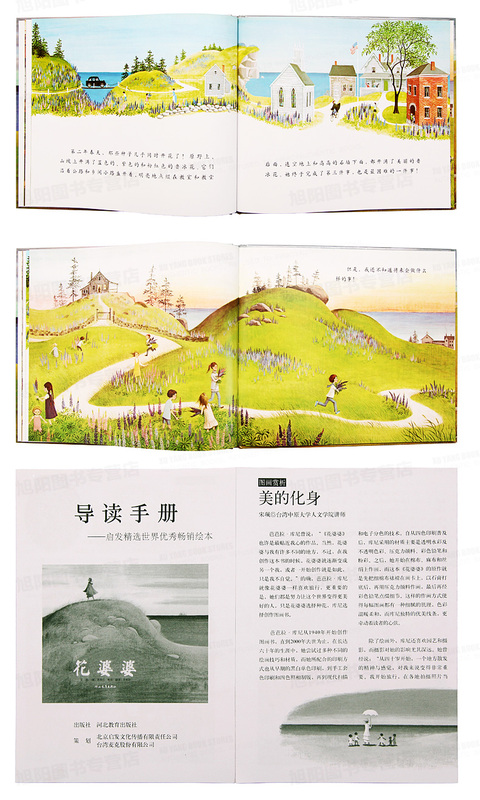 It has been turned into a picture book with pretty good drawings as illustration. If you dismissed this as a baby book just because it is a picture book, you will be making a huge mistake because this particular piece of work is actually a secondary school level material. In fact, it was in my Secondary 1 Chinese First Language (equivalent to secondary Higher Mother Tongue now) textbook, and I can assure you the general standard is a little lower these days compared to my day. The content is exactly the original and not simplified so it is certainly not a dumbed down baby book. Even if the language could be simplified, the content, the idea is something that only an older child can appreciate. Many of such literature work have been turned into picture book format, so even if a teenager were to be reading them, there is absolutely no shame in it at all. Even if the picture books are not based on famous literature work, many of the picture books are excellent books because of their content. Their language may be simple but they are still rich in the values, the humour, the pathos, and every quality in a good piece of literature work. This book on the left is about how a fox was chasing a rabbit to a rickety bridge that gave way under their movement and weight. As a result, they were precariously positioned on what is nothing more than a balancing beam. In order to maintain the balance, they had to get along with each other, even have a conversation like friends, and eventually, they had to cooperate with each other in order to get out of the situation. It may seem like a simple story but there is plenty to be discussed about the condition that promotes co-operation between two natural enemies, and whether the ‘good relationship’ can be maintained after the very condition that forced their cooperation is removed. 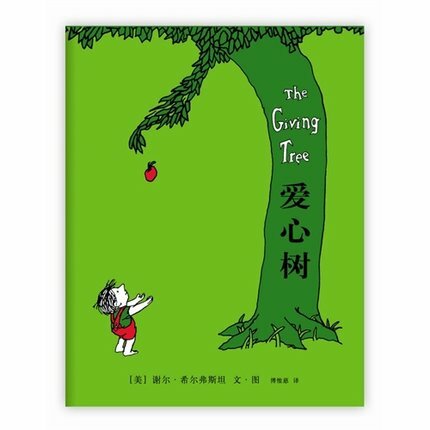 One of my favourite books is The Giving Tree and it is translated into Chinese in the form of a picture book. The words are simple and few but I think nobody will think that it is only fit to be read by babies. A story written in a few lines does not mean that the language must be simple and only fit for preschoolers. Check out this one that I just borrowed from the library (see below). I think the primary school textbooks are written in simpler language. In fact, many picture books, no matter how simple they are, are full of characters and vocabulary many of our school children may not be able to read or understand. So if the kids pick these books to read, it can still be a challenge for them. So to tell them that these books are too ‘easy’ for them is indirectly telling them that they are lousy at the language, because the kids know when they cannot read or understand the books. I can go on and on with the examples but this post will not be sufficient for all of them. I would urge parents not to discourage their children from reading picture books no matter how old they are. 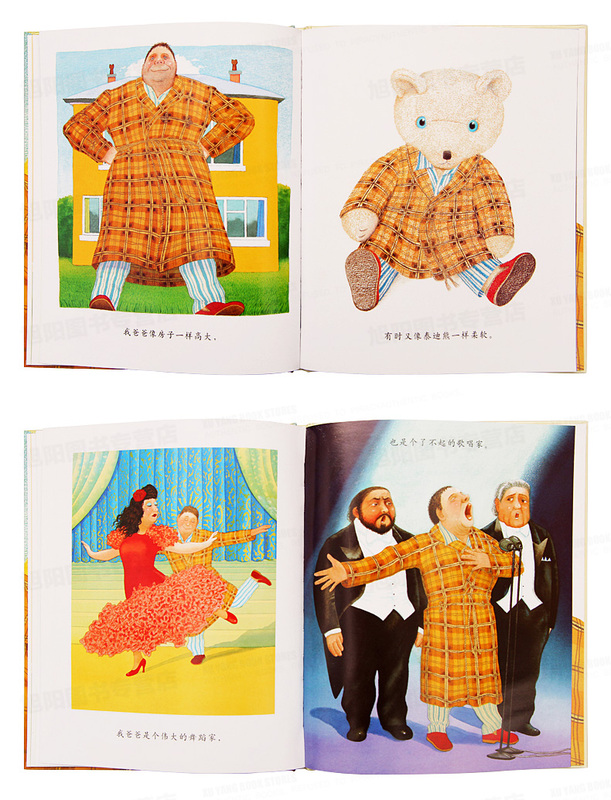 As I mentioned earlier, choosing Chinese children books is a little trickier because of our kids’ language ability. Many of the older kids whom we think should be reading chapter books cannot actually read chapter books because of their lack of ‘character recognition’ (识字量). For Chinese, if you don’t recognise the characters, you cannot read. If parents and teachers send the message that picture books are baby books and they should feel ashamed for reading picture books, it will just discourage them from reading altogether because many chapter books would be completely beyond their ability. Furthermore, many of them know their ability is not quite there and they are intimidated by chapter books because of the thickness and the fact that there are too many words inside. Many of them may not like reading any books, much less Chinese books. Picture books are less intimidating and may be easier for them to handle. 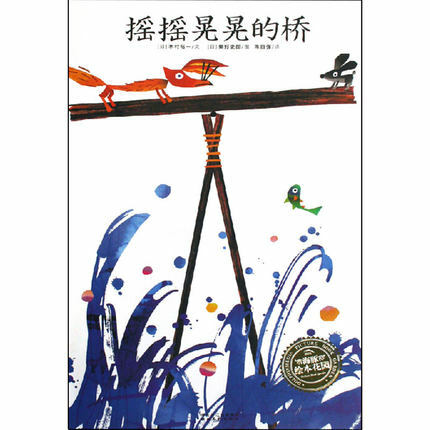 Getting them to start off with picture books may be a good first step to get them to read Chinese books. So if you child is happily choosing books at the picture books section, please do not reprimand him. Be thankful that he is happy to be there to choose books. Many parents struggle to get their kids to even go to the Chinese books section in the library. The other thing parents often missed about picture books is the value of having great illustrations for a book. In fact, the illustration is an important part of the books. If you take time to compare different books, you can see that they are artwork worth studying. 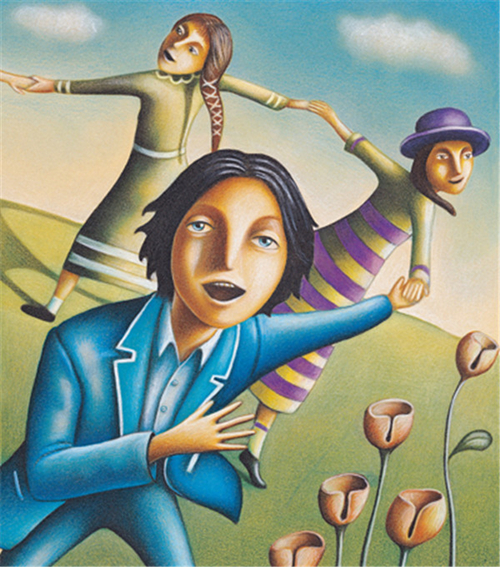 Take a look at the different style of artwork for the following books. 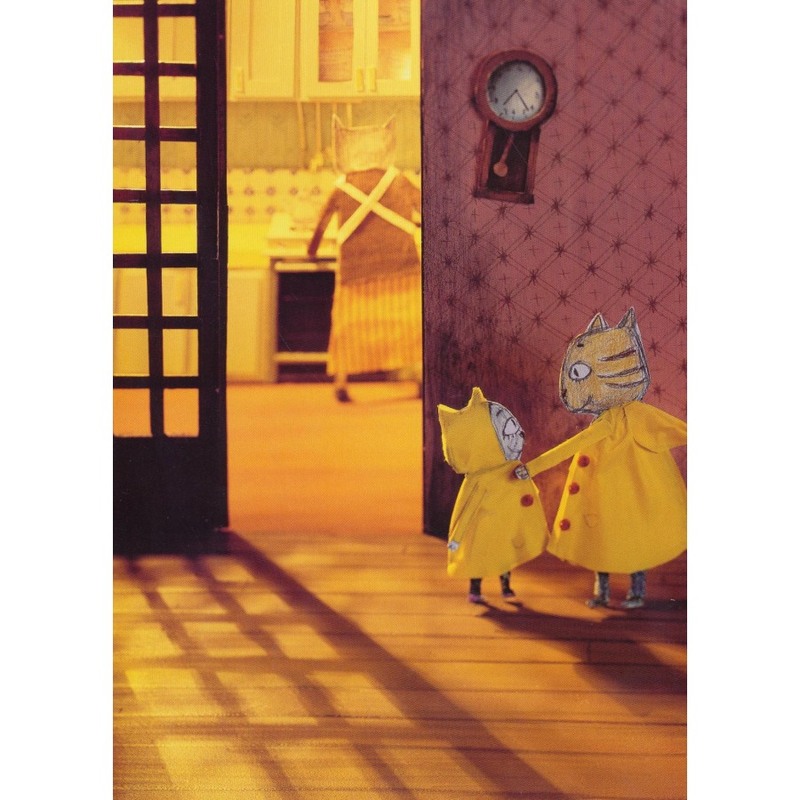 You can have endless discussions on the artistic aspects of picture books with your children. Yes, picture books are good material for studying art too! 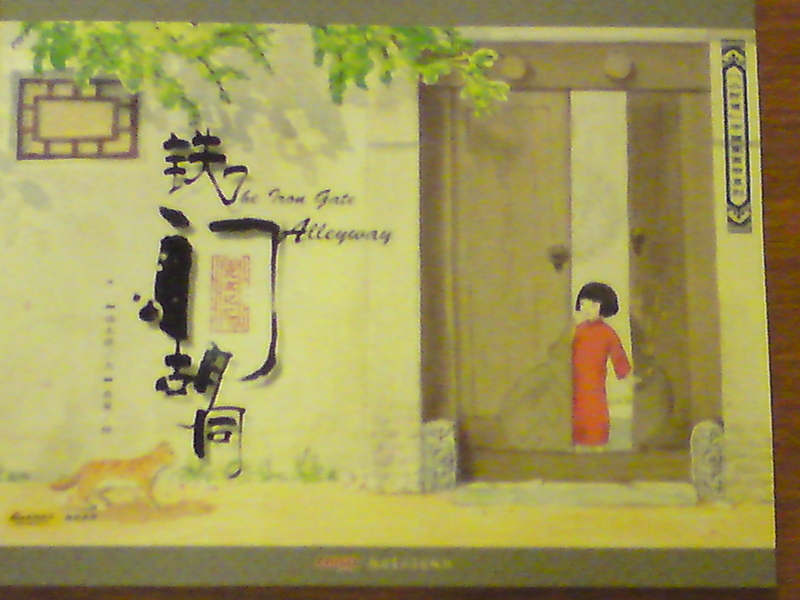 I particularly like oriental illustration for asian stories. I think they just go so well with the stories. Take a look at these beautifully drawn illustrations. I have to be honest with you : I bought them mainly because I love the illustrations. If your child is struggling with the Chinese language, please understanding that reading books will be very tedious for him. It is rare for a child who struggles with the language to happily pick up a story book in that language to read. “I bought such a lot of books for him but he just refuses to read them.” – I am sure a lot of parents are familiar with this. We think that as long as we let them pick and choose the books themselves, they must be willing to read those books that they have chosen. But what is more likely to have happened is that the kids reluctantly pick up some books that they think they will hate less just because they are ‘coerced’ by their parents to do so. A struggling English reader is different from a struggling Chinese reader. For English, you can still try to make out the phonics and sound out the words and get through the reading. For Chinese, if you can’t read the characters, you can’t read the characters; and if you can’t read the characters, you can’t understand it. If there are too many unknown characters in a story, you basically can’t understand the story at all. Reading the characters is just one part of the understanding. Having sufficient knowledge of vocabulary is equally important. It is entirely possible for a child to be able to read every single character and have no idea what is going on in the story at all. Hence, it is futile to force a child to read chapter books just because you think he is at an age he needs to be reading chapter books. A few days after the library incident, at a bookshop, I witnessed a mother picking up a chapter book and telling her child that he should be reading ‘this kind of books’ now. It goes to show making our children read not according to their ability but according to what we think they should be reading is a really common problem. Unless the chapter books are so simple, written without too many characters he cannot read or vocabulary he cannot understand, the child is better off reading a picture book that he can actually understand and enjoy. When choosing a book, I suggest you ignore any indication of age group the book is suitable for. This is especially true for books published in China or Taiwan. You have to remember that Mainland Chinese and Taiwanese kids will have a stronger Chinese language ability than our kids. So ignore the age guide. E.g. if it is stated on the cover that it is for age 3-6, ignore that. If your 10 year old finds it just a tad challenging, it is the right book for him. If he finds it readable and enjoyable, it is the right book for him. If your 10 year old finds that he cannot read it at all, it is the wrong book for him. From my experience, this means that there are books that my kids can read independently and that they will enjoy reading, and there are books that are slightly above their reading level that I have to either help them read or read to them. Helping them read means they will read some parts with my help. I may have to stop them every now and then to ask them if they understood the story so far, or ask them questions to check on their understanding and explain what they cannot understand. There are times I will simply read aloud to them as they follow along, looking at the text of the books. If there are any parts they feel lost, they will stop me to ask and I will explain to them. Both kinds of books are important. Equally important is that we do not let our kids struggle along on their own with books that are a little beyond their ability. So if you can, read to your kids no matter how old they are. If you want to turn your kids off reading Chinese books forever, just make reading a chore and an assignment. You will get 100% success. 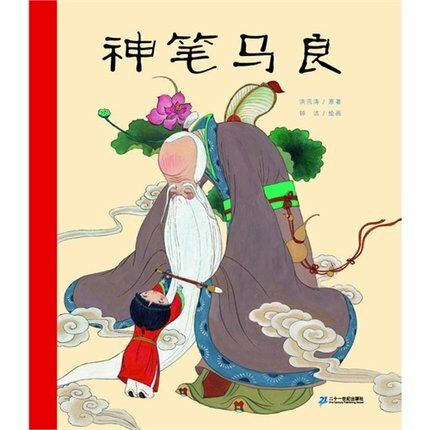 If you want to get your child to try reading Chinese books and hopefully even fall in love with it, try not to do things like making him write book report, copy out/memorise nice sentences (好词好句) from the books or punishing him if he failed to read x number of books within a set time. Another way that parents make reading a chore and a labour is what I encountered at the library the other day. After encountering the parent who told her child not to read picture books, I walked near some chairs where I overheard a parent making his daughter read out a book. It was clear that the child was not accustomed to reading out loud and her 识字量 was limited because almost every other word she encountered, her father had to tell her how to read. The reading was slow and painful. I am pretty sure if she had finished reading the whole story with the help of her father, she would not have understood the story at all because all her attention was focused on trying to decipher the characters instead of following the storyline. This kind of reading is purely deciphering text and not really reading. 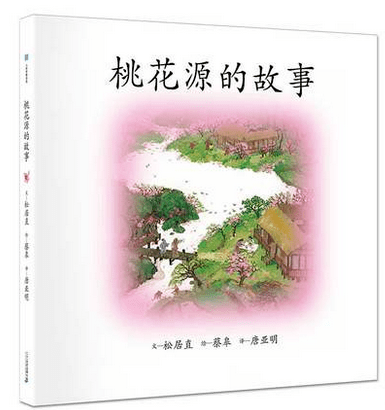 It is tedious and will not make your child fall in love with reading Chinese books. What I would have done was to read the book to the child first. Chances are, the child can understand the story if it was read to her because it was not a difficult story. In fact, I think it was a pretty nice story. She would have enjoyed the story. Then I would encourage her to try reading it herself and help her along with the difficult words. If it gets too tedious, perhaps I would only let her read a few pages and continue reading the rest of it for her with her following the text. At least then she would enjoy a good story and hopefully be a little more motivated to learn to read better on her own. What about my 100 Days Reading Challenge? It is just what it is supposed to be – a challenge. I challenged my kids and it was up to them whether they wanted to take it up or not. Thankfully, they did. If they didn’t want to, I was not going to make them. f. WOW! I JUST LOVE READING CHINESE BOOKS! Can you see the quantum leap in logic already? We all know (f) is so not going to happen. In fact, although reading helps, the amount and quality of reading that we can manage to get from our kids through coercion is not going to make a material difference to the grades, so we might as well not bother with that. To see a real impact, you need large amount of reading of decent quality material, read with deep interest, and years of such reading before you can see real results. So does that mean we should not even bother to get our kids to read Chinese books? No. Otherwise, I won’t be writing about reading to kids, the 100 Day Reading Challenge and sharing my Chinese Children Books Pinterest board. But I would rather we disassociate reading from academic achievement and aim for cultivating first the habit of reading, and hopefully, the love of it next. This applies to the reading of both Chinese and English books. Really, our kids won’t be motivated to read by this. I have a feeling that if we disassociate the two, as parents, we will also be less stressed up about getting our kids to read. That’s the bonus. Our 100 day Reading Challenge has become a “read together time”. I picked up some Chinese books myself and the kids and I would cuddle up together on our very comfortable sofa and we would each read our own books quietly together. 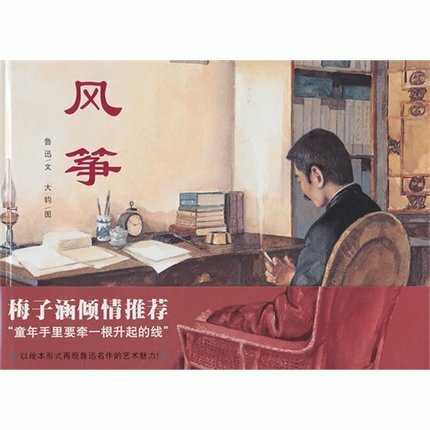 How about carving out some ‘read together time’ for Chinese book reading in your homes? 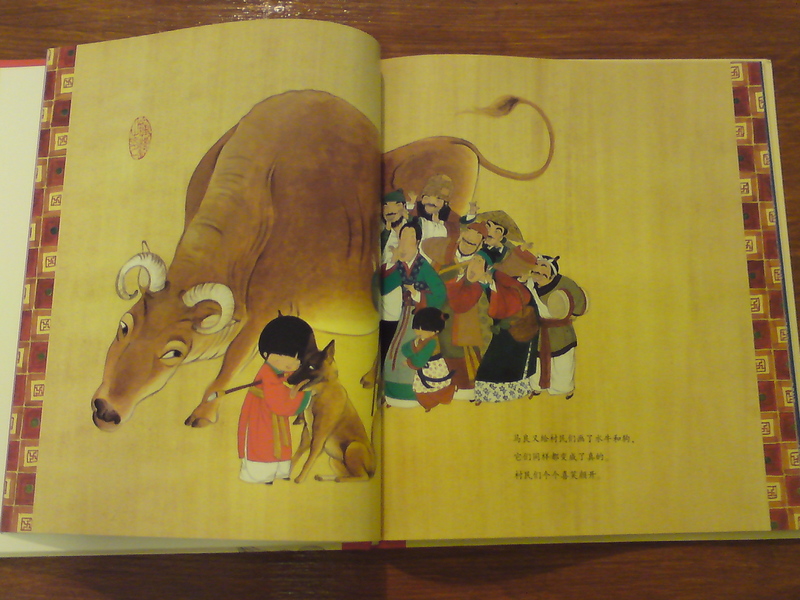 If you are able to read Chinese books, it would be really great if you can read to your child. Especially books that are a little beyond the reading ability of your child. Make it a regular thing to do. Choosing Chinese books for our kids is a tricky business. We need lots of trial and error before nailing down the ones that work. What better way to do this at minimum cost with the widest range of choice than to hit the libraries? Try reading Chinese Children Books. Start with the picture books. They are actually quite enjoyable. I can hear you say now that your Chinese is “half past 6” (half baked and not quite there). Just read at your level. You will be setting a good example for your kids. Imagine what your kids will think if having a limited Chinese language ability is your excuse for not reading. They probably think the same excuse applies to them! Chances are you guys probably can read about the same kind of books. Maybe (Hopefully!) your kids can read more than you do! Whatever the situation may be, you should give it a try. For one thing, you will know how your kids feel about it, especially when they have parents and teachers to nag at them and you don’t. The bonus is when you find something you enjoy, you can genuinely recommend it to your kids and tell them to check out this great book you just read! If your Chinese is pretty good then it is even better! You can read the “harder” books and share them with your kids. You will know what to recommend your kids to read and can vet the books for inappropriate content before recommending them. You can challenge them to move away from reading only comic books, and try reading different kinds of books. You can help your struggling reader to read a little above his ability so that he gets better and better over time. Ultimately, reading should not be only about some measurable achievement, like exam scores, or improving one’s language ability. Reading should be pleasurable and it should feed the heart and soul of the reader. If we keep this in mind, we will not go far wrong in our choice of books and we will have greater success in encouraging our kids to read. This is true for reading English books as well but especially true for Chinese books because for many of our kids, Chinese books are hard to love. So all the more we should try to making reading Chinese books a joy and not a chore.